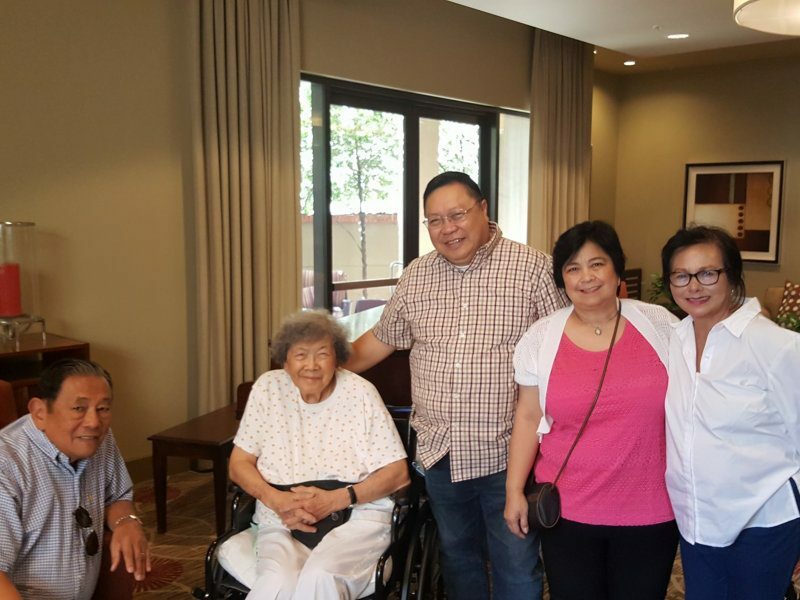 We honor the life and ministry of Gwen Wong who went home to be with the Lord last September 21, 2018 in Burbank, California – a faithful woman who laid the groundwork for IVCF Philippines’ ministry today. 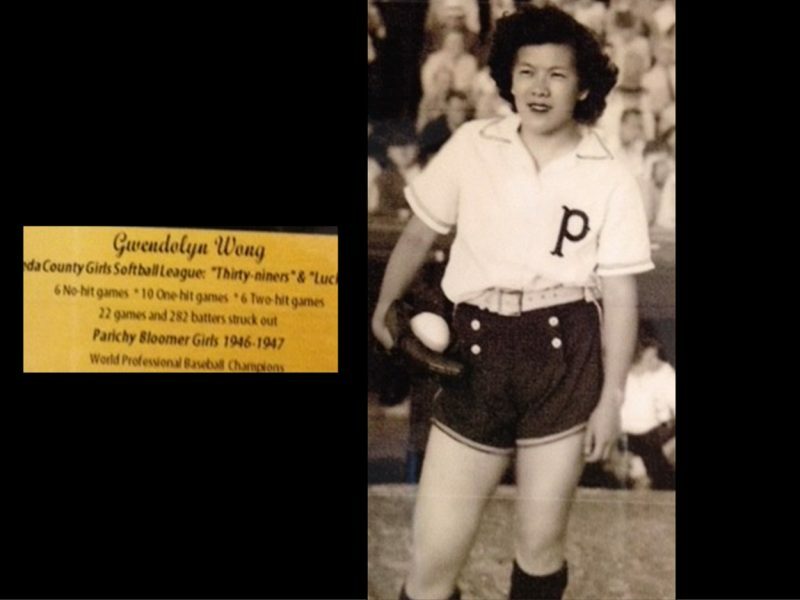 Gwen Wong was a second-generation Chinese-American born on January 14, 1925. 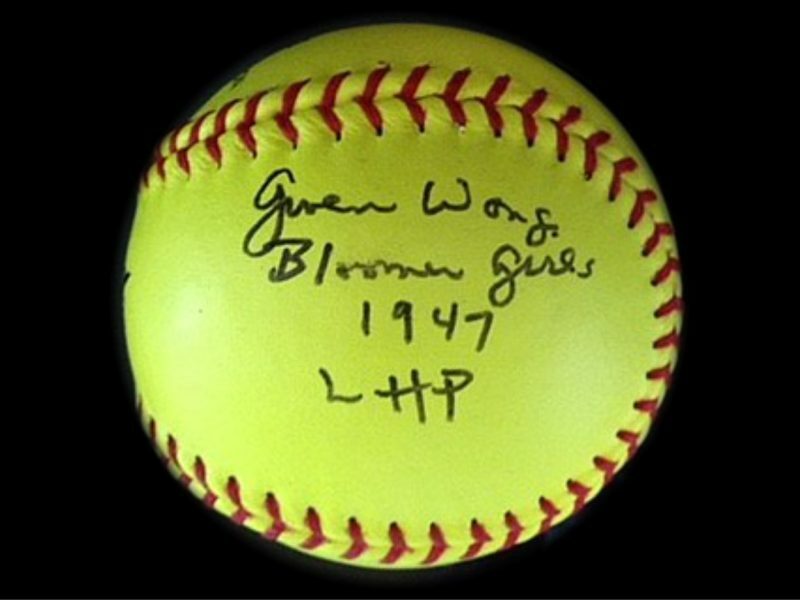 She was a former left-handed rookie pitcher for the Chicago Bloomer Girls softball team in 1947. 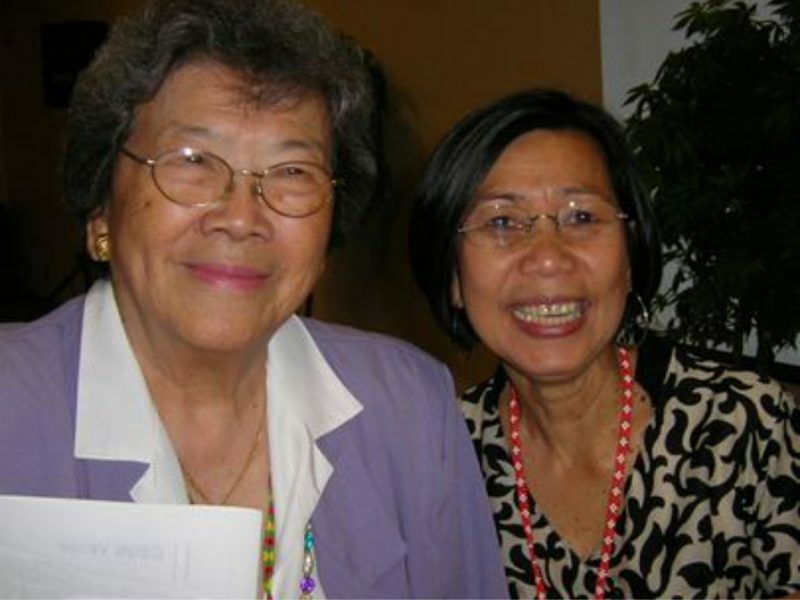 She came to know the Lord as a junior high school student in a Chinese church in California. 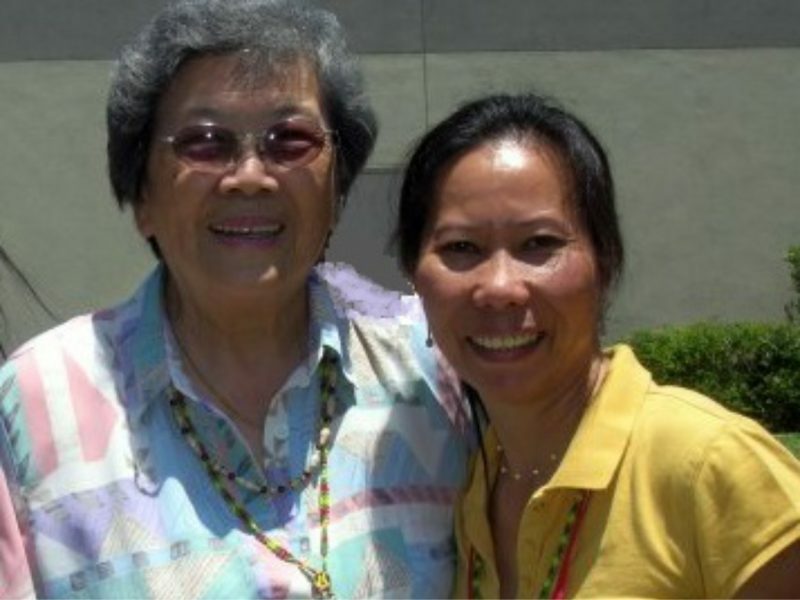 The year before she graduated at the University of California-Berkeley, she went to InterVarsity’s Campus in the Woods in Canada, where she met Stacey Woods, who then later invited her to join InterVarsity USA staff and assigned her to develop student ministry at the University of Hawaii. 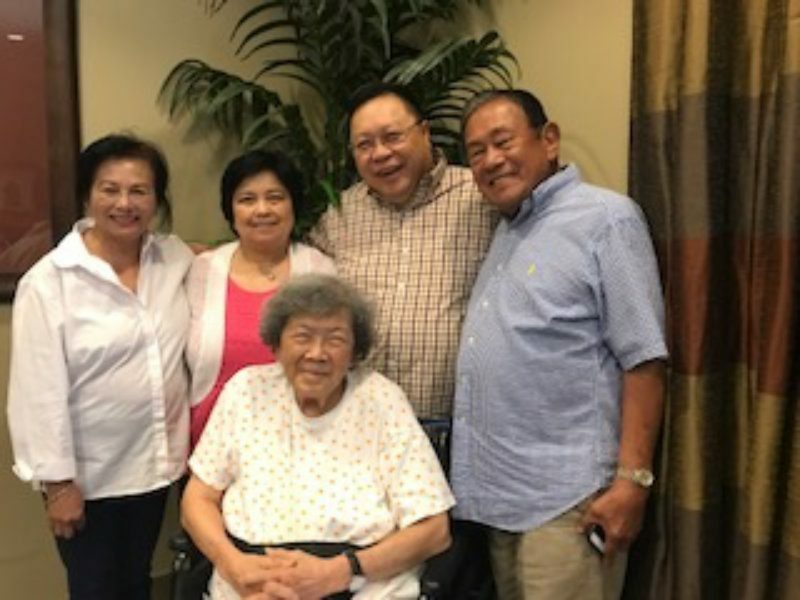 Although at first, Gwen felt a call to do student work in China, she followed the Lord’s leading and moved to Hawaii in 1948 to help students start the first InterVarsity Christian Fellowship chapter in the islands at the University of Hawaii at Mānoa. 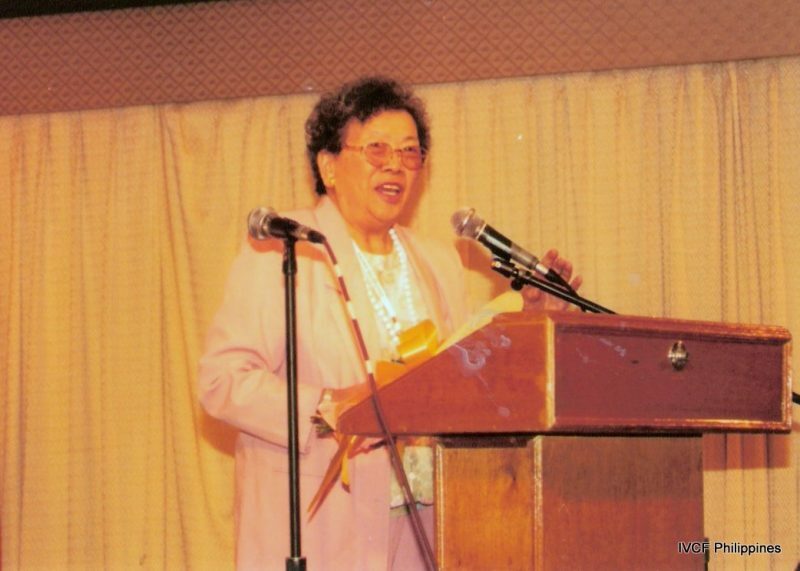 Gwen went on to start the International Fellowship of Evangelical Students (IFES) movement in the Philippines in 1953. Truth be told, her first Bible studies were in her car in the parking lot, because the school where she started the student ministry wouldn’t let her on campus. 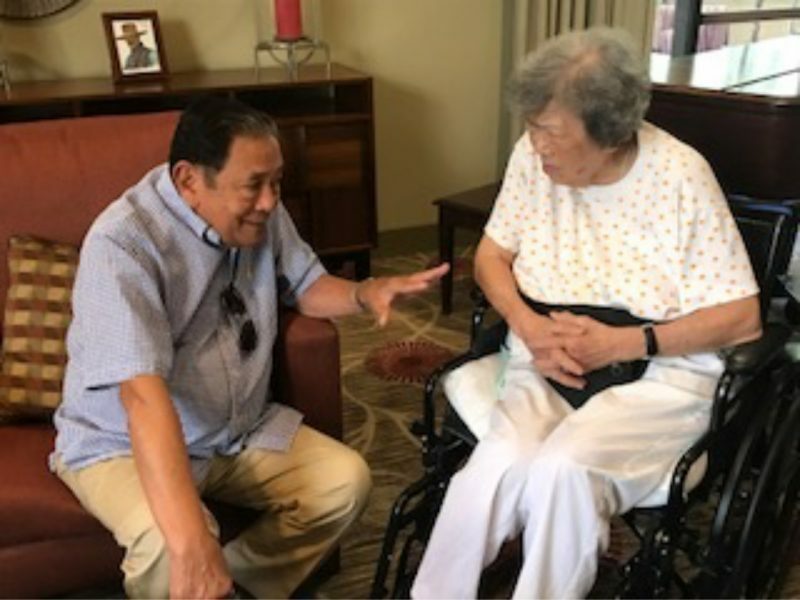 Starting with about 15 Filipino college students, she helped form the “Timothy Club” that gathered daily for prayer, weekly for bible studies and peer-to-peer witnessing. 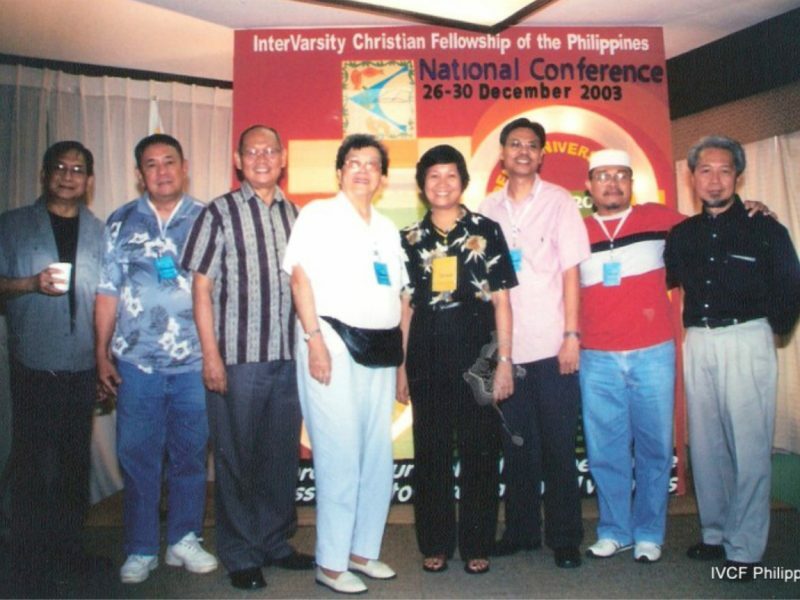 The group grew in number and created the need for more bible studies, trainings and workshops in various colleges and universities throughout Manila. Sixty five (65) years after, we see the fruit of her obedience to the Lord Jesus evident in IVCF Philippines, a movement that continues to impact students and graduates for Christ. We celebrate our godly inheritance and press on towards God’s calling for us as a ministry. 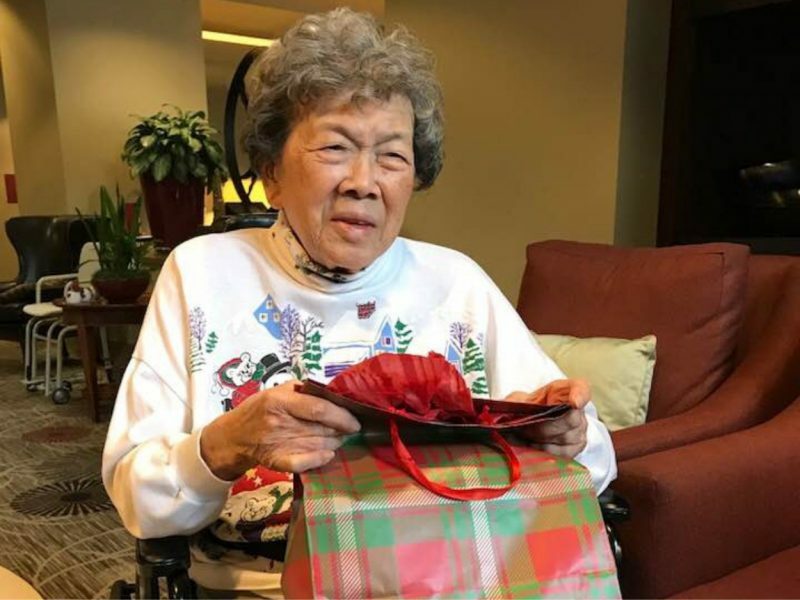 With all our hearts, thank you Ms. Gwen Wong! 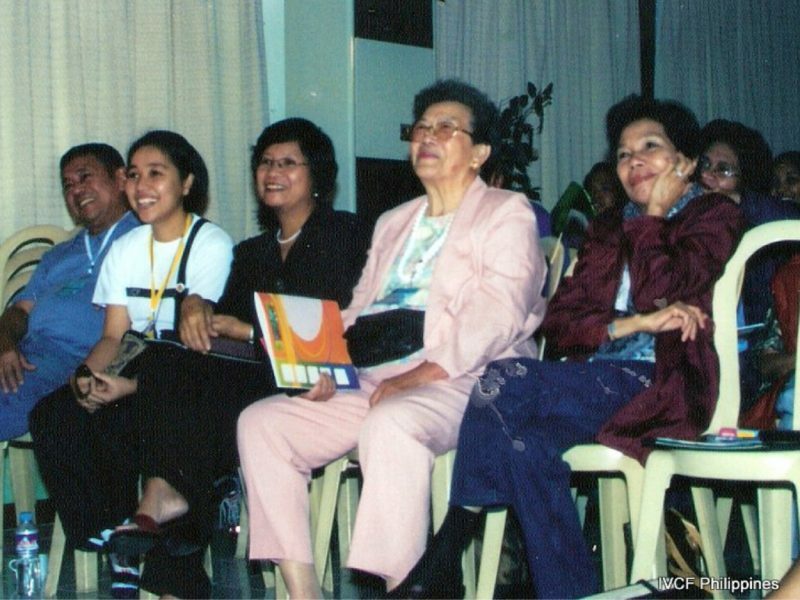 At National Conference 2003 celebrating IVCF’s 50th anniversary with former General Secretaries. With Lisa Espineli Chinn at Balikatan 2008. This entry was posted in Newsbits. Bookmark the permalink.